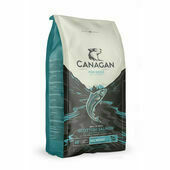 Rich in Omega-3, Vitamin D and protein, Canagan Scottish Salmon has been made using a hypoallergenic cat food recipe that is completely free from grain, wheat, barley and corn; making it ideal for pets with common food allergies and those who suffer from sensitive digestion or easily irritated skin. 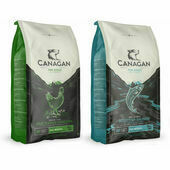 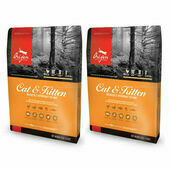 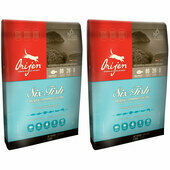 This biologically appropriate Canagan cat food has been made to closely mimic the kind of diet that cats would have evolved eating in the wild, which is why there is always an animal ingredient content of at least 75%. The remaining 25% is comprised of vegetables, fruit and botanical ingredients which complement the meat's flavour and nutritional values. 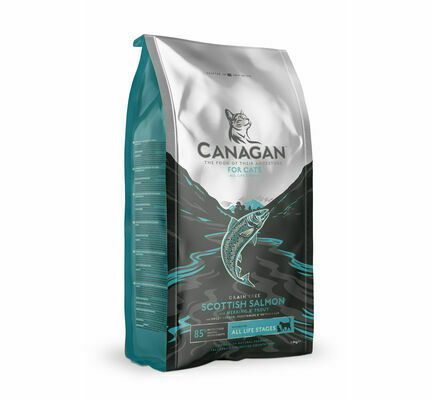 In order to prevent blood sugar level from spiking and to limit excess weight gain, Canagan Scottish Salmon Grain-Free Dry Cat Food only includes ingredients that are low in carbohydrates and provide slow-release energy to help pets feel full for longer. 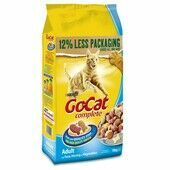 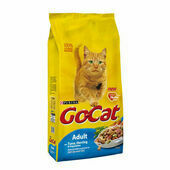 Additional benefits of this dry cat food include helping to reduce stress, promoting urinary tract health, stimulating the immune system, and regulating the metabolism. 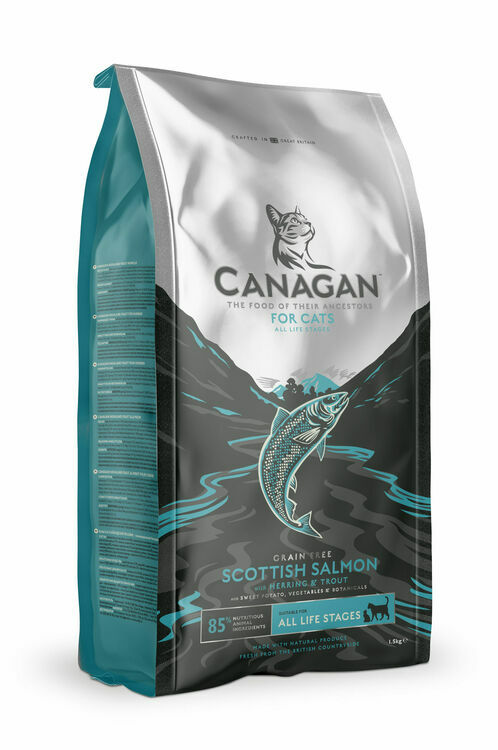 Ingredients: Freshly Prepared Deboned Scottish Salmon (31%), Sweet Potato, Dried Herring (12%), Dried Scottish Salmon (11%), Potato, Salmon Oil (8.1%), Dried White Fish (6.5%), Freshly Prepared Trout (4.65%), Salmon Stock (2.3%), Minerals, Vitamins, Alfalfa, Cranberry, Mannanoligosaccharides, Fructooligosaccharides, Apple, Carrot, Spinach, Seaweed, Camomile, Peppermint, Marigold, Aniseed, Fenugreek.